‘Carom Seeds’ (Bishop’s Weed or Thymol Seeds), popularly known as ‘Ajwain’, is an Asian spice that is mostly used for adding flavor to various dishes. They have a unique taste, which is pungent and bitter to some extent. But the goodness of those tiny, aromatic fruit pods can actually go far beyond this. Carom seeds offer a number of health and medicinal benefits and you can even get rid of excess body weight with its help! So, if you are interested to know how to lose weight with carom seeds, just keep reading. Works as an instant natural relief for indigestion and acidity. Improves digestive health by facilitating the secretion of gastric juices, thereby keeping digestive problems, such as abdominal gas, flatulence, etc. at bay. Keeps constipation away by making bowel movement easier and faster. Treats common cough and cold by making the discharge of mucus easy and clearing the nasal blockage. Cures a number of respiratory disorders including asthma, bronchitis, etc. over time. Gives relief from headaches, migraine, toothache, earache, etc. with its anesthetic properties. Gives relief from the pain and inflammation caused due to arthritis with its antibiotic and anti-inflammatory properties. Helps in regularizing the menstrual cycles (both irregular periods and excessive bleeding) in women. Naturally dissolves kidney stones inside the body and removes with urine. Also, reduces the pain caused by them. Take one liter of water in a pan, heat it up, and bring it to a boil. Add one teaspoon of carom seeds to it and let it come to a rolling boil. You will see that the liquid is changing color gradually. Once the whole concoction turns golden, turn off the heat, and allow it to cool down. Strain this infusion and sip on it throughout the day. This carom seed water has amazing health benefits, ranging from curing indigestion to promoting metabolism. By relieving indigestion, they eliminate flatulence and speed up metabolism. As a result, we become able to burn fat faster and shed off any pent-up weight in a better way. This remedy involves soaking about 25 gms. of carom seeds in a glass of water (about 250 ml.) overnight. Next morning, run the mixture through a strainer and mix one tsp. of pure, raw honey with it. 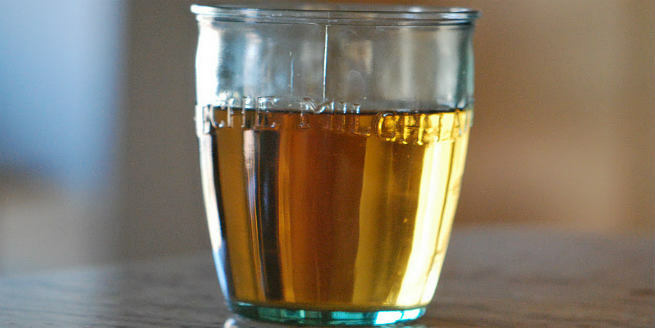 Drink this strained infusion the first thing on empty stomach, right after brushing your teeth. Consume it every day for at least 3 months to experience consistent weight loss. Honey comes packed with vitamins, minerals, and essential amino acids, which cumulatively help in regulating our metabolism. It also activates hormones in our body, which keeps appetite suppressed, thereby preventing weight gain. All these enhance the weight loss effects of carom seeds. When coupled with a strict low-carb diet, this infusion can reduce excess body weight in as less as a fortnight. Tip: To avoid any kind of hassle with measurements, buy a standard 100 grams pack of carom seeds and roughly divide it into 4 parts. Each part will be about 25 grams. You can reuse each batch of seeds for two consecutive days after which they need to be thrown out. So, 100 grams of carom seeds will last you a total of 8 days. Chew on a spoonful of raw carom seeds every day in the morning just half an hour before having the breakfast. It helps the body in releasing enough digestive juices in order to make the digestion of your breakfast as well as previous night’s meal easier and better. This practice is believed to help in losing around 5 kgs. of excess body weight easily. What’s more, it is completely natural and devoid of any kind of side effects. So, go ahead and try this one! This is a mixture of several powdered spices that can be made into a refreshing beverage and consumed every day for effective weight loss. You need to take nigella seeds or kalonji, carom seeds, cinnamon, and fennel seeds in equal quantities and grind them together into a fine powder. Make sure that the spice powder mixture is completely dry and store it in an airtight container. When you are ready, simply take half a teaspoon of this powder and dissolve it into a glass of water. You can strain the infusion before consuming if you find the flavor of the cinnamon too strong. Drink this water twice a day in between meals. This not only makes for a refreshing drink but will also help you burn away excess fat. Hydrolyzed carom are used to prepare an essential oil, which is known to be extremely beneficial. It consists of thymol, gamma – terpinene, p – cymene, and 20% trace compounds. Disrupts digestion instead of aiding it and leads to issues, such as abdominal gas, heartburn, acidity, stomach ulcer, constipation, etc. Thymol in it causes dizziness while Gamma-Terpinene causes nausea. Worsens liver diseases including diverticulitis and ulcerative colitis, thereby causing irreversible damages. Certain carrom seeds can increase heart rate resulting in palpitation, high blood pressure, and other severe cardiac disorders. Increases the temperature of the body during pregnancy, which brings lots of complications. Makes the skin photo-sensitive, which is damaging in the long run.